GameSpy online server browser for the retail version no longer works due to GameSpy services being shut down (the GOG.com and Steam versions have working multiplayer). 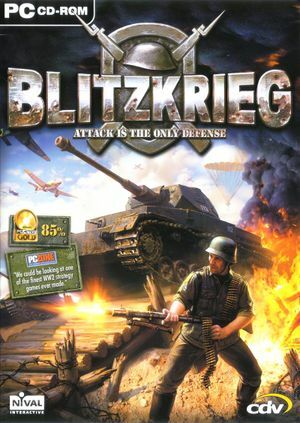 Blitzkrieg Anthology. No online play (only LAN). 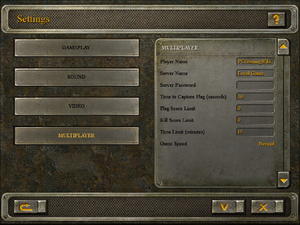 The GOG.com and Steam versions have working multiplayer. GameSpy multiplayer services for the retail release have been shut down, and the Mac App Store version does not include any multiplayer. If the game is running poorly change the Minimal FPS setting to 0. 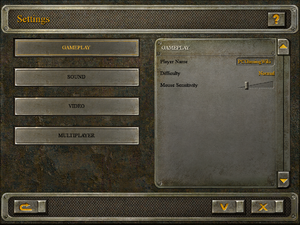 16 For the GOG.com version use the installer available under bonus content. ↑ 2.0 2.1 File/folder structure within this directory reflects the path(s) listed for Windows and/or Steam game data (use Wine regedit to access Windows registry paths). Games with Steam Cloud support may store data in ~/.steam/steam/userdata/<user-id>/313480/ in addition to or instead of this directory. The app ID (313480) may differ in some cases. Treat backslashes as forward slashes. See the glossary page for details.